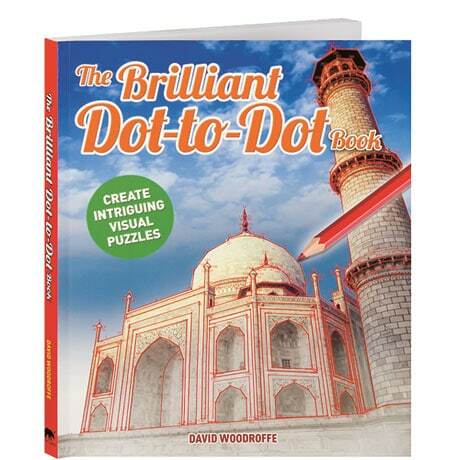 This huge treasury will keep you in dot-to-dot nirvana for quite a while. Spanning such categories as famous landmarks, iconic buildings, the British royal family, works of art, classic boats and planes, and scenes from history and the animal world, David Woodroffe presents a whopping 270 subjects, each with more than 300 dots—that's more than 81,000 points to connect altogether. More than just pages to color, the pictures in this utterly absorbing book are like visual puzzles, raising the childhood activity of dot-to-dot drawing to a more adult level of patience and attention to detail as the images emerge. You'll need sharp eyes as well as a sharp pencil (and a small ruler wouldn't hurt), and then you'll have the fun of coloring them in.